Lord, let me begin this day in devout meditations, in joy unspeakable, and in blessing and praising You, who has given me such good hope and everlasting consolation. Samuel said to all Israel, "I have listened to you in all that you have said to me, and have set a king over you. See, it is the king who leads you now; I am old and gray, but my sons are with you. I have led you from my youth until this day. Here I am; testify against me before the LORD and before his anointed. Whose ox have I taken? Or whose donkey have I taken? Or whom have I defrauded? Whom have I oppressed? Or from whose hand have I taken a bribe to blind my eyes with it? Testify against me and I will restore it to you." They said, "You have not defrauded us or oppressed us or taken anything from the hand of anyone." He said to them, "The LORD is witness against you, and his anointed is witness this day, that you have not found anything in my hand." And they said, "He is witness." Samuel said to the people, "The LORD is witness, who appointed Moses and Aaron and brought your ancestors up out of the land of Egypt. Now therefore take your stand and see this great thing that the LORD will do before your eyes. Is it not the wheat harvest today? I will call upon the LORD, that he may send thunder and rain; and you shall know and see that the wickedness that you have done in the sight of the LORD is great in demanding a king for yourselves." So Samuel called upon the LORD, and the LORD sent thunder and rain that day; and all the people greatly feared the LORD and Samuel. All the people said to Samuel, "Pray to the LORD your God for your servants, so that we may not die; for we have added to all our sins the evil of demanding a king for ourselves." And Samuel said to the people, "Do not be afraid; you have done all this evil, yet do not turn aside from following the LORD, but serve the LORD with all your heart; and do not turn aside after useless things that cannot profit or save, for they are useless. For the LORD will not cast away his people, for his great name's sake, because it has pleased the LORD to make you a people for himself. Moreover as for me, far be it from me that I should sin against the LORD by ceasing to pray for you; and I will instruct you in the good and the right way. Only fear the LORD, and serve him faithfully with all your heart; for consider what great things he has done for you. But if you still do wickedly, you shall be swept away, both you and your king." Now when the apostles at Jerusalem heard that Samaria had accepted the word of God, they sent Peter and John to them. The two went down and prayed for them that they might receive the Holy Spirit (for as yet the Spirit had not come upon any of them; they had only been baptized in the name of the Lord Jesus). Then Peter and John laid their hands on them, and they received the Holy Spirit. Now when Simon saw that the Spirit was given through the laying on of the apostles' hands, he offered them money, saying, "Give me also this power so that anyone on whom I lay my hands may receive the Holy Spirit." But Peter said to him, "May your silver perish with you, because you thought you could obtain God's gift with money! You have no part or share in this, for your heart is not right before God. Repent therefore of this wickedness of yours, and pray to the Lord that, if possible, the intent of your heart may be forgiven you. For I see that you are in the gall of bitterness and the chains of wickedness." Simon answered, "Pray for me to the Lord, that nothing of what you have said may happen to me." Now after Peter and John had testified and spoken the word of the Lord, they returned to Jerusalem, proclaiming the good news to many villages of the Samaritans. Then the assembly rose as a body and brought Jesus before Pilate. They began to accuse him, saying, "We found this man perverting our nation, forbidding us to pay taxes to the emperor, and saying that he himself is the Messiah, a king." Then Pilate asked him, "Are you the king of the Jews?" He answered, "You say so." Then Pilate said to the chief priests and the crowds, "I find no basis for an accusation against this man." But they were insistent and said, "He stirs up the people by teaching throughout all Judea, from Galilee where he began even to this place." When Pilate heard this, he asked whether the man was a Galilean. And when he learned that he was under Herod's jurisdiction, he sent him off to Herod, who was himself in Jerusalem at that time. 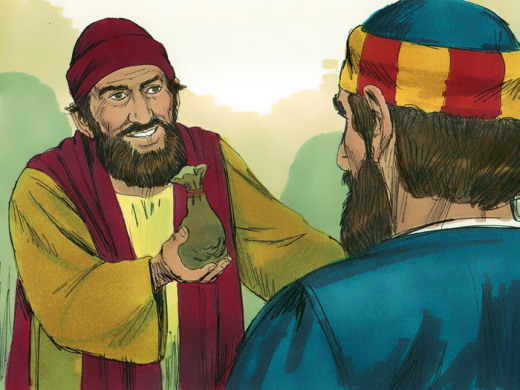 When Herod saw Jesus, he was very glad, for he had been wanting to see him for a long time, because he had heard about him and was hoping to see him perform some sign. He questioned him at some length, but Jesus gave him no answer. The chief priests and the scribes stood by, vehemently accusing him. Even Herod with his soldiers treated him with contempt and mocked him; then he put an elegant robe on him, and sent him back to Pilate. That same day Herod and Pilate became friends with each other; before this they had been enemies. O Divine Master, grant that I may not so much seek to be consoled as to console; to be understood as to understand; to be loved as to love. If anyone loves me, he will keep my word, and my Father will love him, and we will come to him and make our home with him. When we become Christians, we receive something wonderful and beautiful: We gain a direct route to God, by the power of Christ and the presence of the Holy Spirit. We do not have to wonder if He hears our prayers. But if you ever struggle for words, there is something you should remember: you do not have to use words to pray, for the Spirit will pray for you. 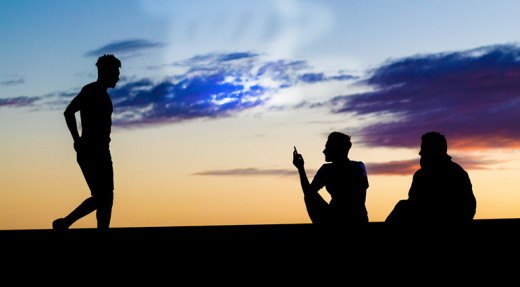 Just speak from the heart and God will understand what you are saying. Part of prayer, which everyone knows (even nonbelievers) is asking God for things. At other times we confess sins, or praise Him, or give thanks for our lives and everything He has done for us. But there is another part of prayer that we sometimes overlook, and that is letting God speak to us. I don't know many people who hear a voice talking to them, when they pray. Or we may hear a voice, but it isn't a voice that uses words and comes into us through our ears; in fact, we may not speak when we pray, but simply think our prayers silently. The point is, we do — or at least we can — experience God answering us. Sometimes this can be in the form of an answer to a question, or some other rational knowledge, but there is something different I want to talk about. Have you ever tried telling God — or Christ, by name — how much you love Him, and then prayed by emitting love in your spirit, without words? Just stay still and let your love for God exist in the center of your being. And then, ask God to let you know that He loves you. You might just find something that you need, possibly that you've been looking for since long ago. This can be one of the most powerful things you will ever do, if you try it. God will bring his love to you, without words, but with total knowledge. He will let you know He loves you, in prayer. And I can bear witness that it is an extraordinary feeling. Scripture taken from The Holy Bible, English Standard Version. ESV® Permanent Text Edition® (2016). Copyright © 2001 by Crossway Bibles, a publishing ministry of Good News Publishers. Without faith no one can please God. Anyone who comes to God must believe that He is real and that He rewards those who truly want to find Him. I grew up in Texas where tornadoes are a common occurrence. When the clouds took on a peculiar shade of green and the wind began to blow, we would turn on the radio and wait for any news, hoping and praying it was just an ugly storm headed our way. Many times we were forced to climb down into the damp, musty storm shelter buried in our back yard. I hated those storms! Dan and I had been married several years when God moved us to South Florida where hurricanes seemed to be the norm for native Floridians. Then Hurricane Andrew came along, and I experienced first-hand the devastation these monstrous storms can inflict. I saw nothing normal at all about them. Hurricanes sweep brutally over their prey with vicious strength and leave nothing but destruction and terror in their path. Homes are reduced to useless rubble, memories are washed away, and lives are lost. Even today, certain parts of South Florida are still rebuilding. I have always thought of hurricanes as something mankind could certainly do without, but I once read an article that said hurricanes are necessary to maintain a balance in nature. Scientists say hurricanes are tremendously valuable because they break up a large percentage of the oppressive heat that builds up at the equator. Hurricanes are also indirectly responsible for much of the rainfall in North and South America. Good really can come from bad. That’s where faith comes in. Faith means being sure of the things we hope for. And faith means knowing that something is real even if we do not see it (Hebrews 11:1, ICB). Faith is built upon trust. God wants us to trust Him in the trials of life. Even when we do not understand what is happening or cannot explain the circumstances. Even when nothing makes sense and everything seems wrong. God did not come to eliminate storms. God came to fill each storm with His presence and power. 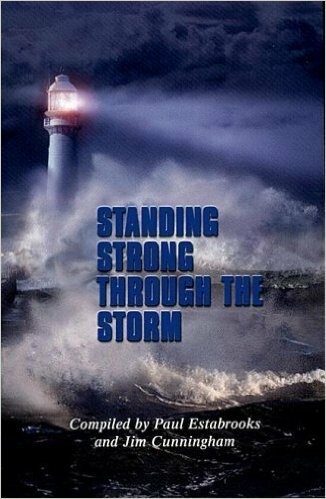 It is easy to trust Him when the seas are calm and the skies are clear, but the true strength of our faith is measured in the midst of a raging storm. A crisis always reveals what is really inside. What life does to us depends on what life finds in us. Faith is a deliberate choice to believe God and walk through our fear, knowing we can trust Him every step of the way. Father, I confess to You that my faith is weak. Forgive me for giving in to doubts and fears. I know Your plan for me is certainty and hope. Please help me face today with Your faith in my heart. Enable me to walk straight ahead through my fear knowing You are with me in each step. Today, I choose faith. 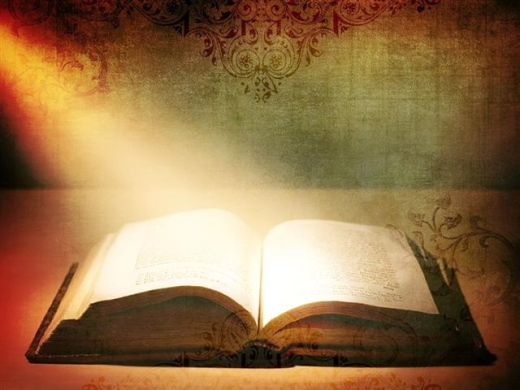 Scripture tells us that without faith, it is impossible to please God. Matthew 17:20 also tells us that even a tiny amount of faith pleases Him. (Jesus) replied, "I tell you the truth, if you have faith as small as a mustard seed, you can say to this mountain, 'Move from here to there' and it will move. Nothing will be impossible for you.’ "
A mustard seed is tiny, but once planted, grows into a huge tree. Jesus said a little faith can have incredible results. We don't need a lot of faith - just as much as a mustard seed to produce great results. Why? Because our God is an awesome God and our faith depends on Him – not us. What is the greatest storm in your life today? What step do you need to take to face that trial with faith instead of fear? What is keeping you from trusting God and stepping out in faith? 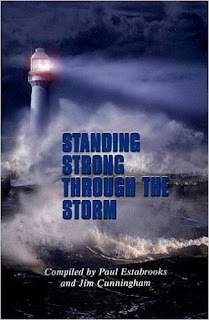 To live this life requires an unshakable faith that will see us through every storm and every trial we will ever face. An unshakable faith is the foundation for the abundant life Jesus came to provide for each one of us. In her MP3 Download, 4 Steps to an Unshakable Faith, Mary shares the four steps we can take to experience an unshakable faith and shows us how we can apply each step to our lives. 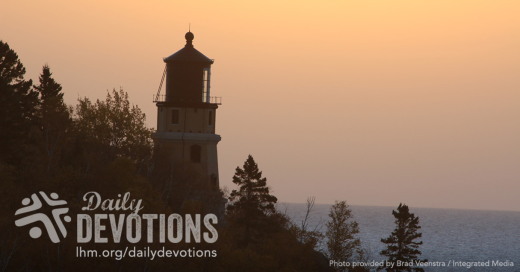 LHM Daily Devotion - July 5, 2017 "Humility"
But He (Jesus) said to me, "My grace is sufficient for you, for My power is made perfect in weakness." Therefore I will boast all the more gladly of my weaknesses, so that the power of Christ may rest upon me. In our July Fourth devotion we touched upon about how it is right for our nation to give credit to the Lord for its many blessings. That truth happens to be applicable for individuals as well as nations. Let me explain with a story: this time from the other side of the Atlantic, off the coast of Plymouth, England. Over 200 years ago, a lighthouse was built to warn ships of the dangerous reefs that are just offshore. The architect of the lighthouse was a fellow by the name of Winstanley. Yes, that's his name: Winstanley. To tell the truth, Mr. Winstanley had many wonderful attributes, but modesty was not on that list. Indeed, Mr. Winstanley was so sure of his ability as an architect and so confident of his lighthouse design, he had these words of challenge carved on the cornerstone of his landmark: "Blow, O Ye Winds! Rise, O Ocean! Break Forth, Ye Elements, and Try My Work!" Less than three years later, Winstanley's challenge was accepted. By that I mean the winds did blow, the ocean did rise, and the elements did break forth to try the architect's work. The result: Winstanley, his lighthouse, and the crew he was using to repair the already damaged facility were swept away. Winstanley was gone, but the need for a lighthouse continued on. Years later, John Smeaton, an elderly engineer, rebuilt the lighthouse. Smeaton found a new site and dug deep so he might build on solid rock. A sincere Christian, the new cornerstone of the lighthouse read: "Except the Lord Build the House, They Labor in Vain that Build It." For more than 90 years that lighthouse, founded on rock, was able to withstand every test that came up against it. That is the truth which the Lord revealed to St. Paul. Although the apostle was of the opinion he might do better work for the Lord if his unspecified thorn in the flesh was taken away, the Lord thought differently. The Lord allowed that thorn to stay in place so the apostle's leanings toward pride might be minimized and his trust and reliance upon the Lord would be maximized. It was the Lord's way of saying, "Paul, put your faith on Jesus Christ, who must always remain the solid cornerstone, the foundation, the rock upon which your forgiveness is given and your salvation has been awarded." Indeed, when believers do as the Lord has said, they can be sure that when the storms of life come upon us, when the winds of uncertainty howl around us, and the tides of trouble are crashing about us, the person whose house is built upon the Redeemer can be at peace. After all, He knows these earthly difficulties are no match for the risen Savior. Presenta la buena batalla de la fe, aférrate a la vida eterna, a la cual también fuiste llamado cuando hiciste la buena profesión delante de muchos testigos. Los historiadores cuentan que, mucho antes que Jesús viniera al mundo, Alejandro el Grande y el Rey de Persia estuvieron en guerra. Un soldado del ejército de Persia pensó que podría ascender rápidamente si lo criticaba a Alejandro, cosa que hizo con mucha constancia. Un día, el monarca persa llamó al soldado, y le dijo: "Yo te pago para luchar contra Alejandro, no para criticarlo, así que termina ya con tanta crítica". ¿Se ha dado cuenta que cada vez hay más personas que se pasan el tiempo criticando el pecado, pero no hacen nada para cambiarlo? Todo el mundo sabe lo que está mal en sus vidas y en el mundo. Pero la mayoría parece contentarse con sólo hablar de ello. Me imagino que Dios, así como hizo el rey de Persia, quisiera llamarnos delante de él y decirnos: "Amigos, yo quisiera que lucharan contra el pecado, no solamente que hablaran de él". Eso es lo que San Pablo instaba a hacer al joven Timoteo cuando le dijo: "Presenta la buena batalla de la fe". Pablo quería que Timoteo supiera que la vida cristiana incluye también una batalla contra el pecado y contra las fuerzas del mal. Y es una batalla que todavía se sigue peleando. Es una batalla en la que el Señor me ha llamado a mí y a usted a levantarnos y pelear. Our Daily Bread - Could I Say That? 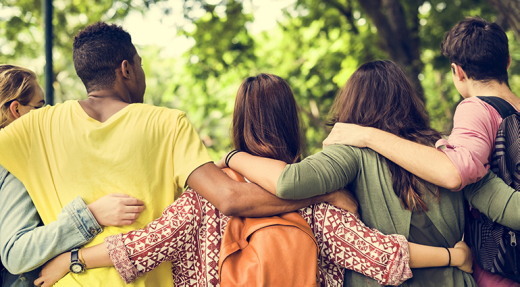 “The perception of favoritism is one of the biggest factors in sibling rivalry,” said Dr. Barbara Howard, a developmental behavioral pediatrician (“When Parents Have a Favorite Child” nytimes.com). An example would be the Old Testament character Joseph, who was his father’s favorite son, which made his older brothers furious (Gen. 37:3–4). So they sold Joseph to merchants traveling to Egypt and made it appear that a wild animal had killed him (37:12–36). His dreams had been shattered and his future appeared hopeless. Yet, along Joseph’s journey of life, he chose to be true to his God and rely on Him even when it seemed to make his situation worse. After being falsely accused by his employer’s wife and imprisoned for something he didn’t do, Joseph struggled with the injustice of his situation but kept trusting the Lord. Years later his brothers came to Egypt to buy grain during a famine and were terrified to discover that their despised younger brother was now the Prime Minister. But Joseph told them, “Do not be distressed and do not be angry with yourselves for selling me here, because it was to save lives that God sent me ahead of you . . . . It was not you who sent me here, but God” (45:5, 8). Joseph’s kind words cause me to wonder if I would be ready for revenge. Or would I be gracious because my heart had confidence in the Lord? Dear Father, give us the faith to trust You today and the ability to see Your hand of good along our road of life. In the darkest hours of life, only through the eyes of faith can we see the loving hand of God. Isto nos faz pensar sobre prioridades. O que fazemos com o nosso tempo mostra o que é importante para nós. Na leitura bíblica de hoje, Marta estava “ocupada em muitos serviços” (Lucas 10:40). Maria, entretanto, investiu seu tempo para sentar “aos pés do Senhor” e ouvir os Seus ensinamentos (v.39). Talvez ela tenha compreendido que não teria muitas outras oportunidades para aprender com Jesus. Às vezes, as responsabilidades do dia a dia, como o corte da grama ou as horas extras investidas num projeto precisam esperar para podermos investir o nosso tempo com o Senhor, com a família e amigos. Talvez isso seja o mais importante. Ajudar alguém em nome de Jesus é o seu trabalho mais importante do dia. Tiến sĩ Barbara Howard, bác sĩ nhi khoa về phát triển hành vi cho rằng: “Nhận thức về sự thiên vị là một trong những yếu tố lớn nhất của việc anh chị em ruột tranh cạnh nhau” (“When Parents Have a Favorite Child,” nytimes.com). Ví dụ như nhân vật Giô-sép trong Cựu Ước, đứa con trai được cha thương nhất. Chính điều đó làm các anh của ông tức giận (Sáng. 37:3-4). Vì vậy, họ đã bán Giô-sép cho các lái buôn đang trên đường đến Ai Cập. Sau đó, họ nguỵ tạo chuyện ông bị thú hoang giết hại (37:12-36). Những giấc mơ tan vỡ và tương lai dường như mờ mịt. Tuy nhiên, trên đường đời của Giô-sép, ông đã chọn trung tín với Chúa và nhờ cậy Ngài ngay cả khi điều đó dường như khiến cho hoàn cảnh tồi tệ hơn. Sau khi bị vợ của chủ vu cáo và bị bỏ tù vì tội mà mình không phạm, Giô-sép phải chịu sự bất công về tình cảnh của mình nhưng vẫn tin cậy Chúa. Nhiều năm sau, một nạn đói xảy ra và các anh của ông đến Ai Cập để mua lúa. Họ run sợ khi phát hiện đứa em trai bị căm ghét giờ đã là Tể Tướng. Nhưng Giô-sép bảo họ: “Các anh đừng đau buồn và cũng đừng tự trách mình vì đã bán tôi sang đây. Vì để bảo tồn sự sống mà Đức Chúa Trời đã sai tôi đến đây trước các anh. Vậy không phải các anh mà chính Đức Chúa Trời đã sai tôi đến đây” (45:5, 8). Những lời tử tế của Giô-sép khiến tôi tự hỏi liệu tôi có đang chuẩn bị trả thù ai đó không? Hay tôi sẽ khoan dung vì lòng tôi tin cậy Chúa? Lạy Cha, xin ban cho chúng con đức tin để tin cậy Ngài và giúp chúng con nhìn thấy bàn tay nhân lành của Ngài đang tể trị trên cuộc đời chúng con. Chỉ với đôi mắt đức tin, chúng ta mới có thể nhìn thấy bàn tay nhân lành của Chúa trong những giờ phút đen tối nhất của cuộc đời. Nuestro Pan Diario - ¿Qué haría yo? … no me enviasteis acá vosotros, sino Dios… (v. 8). «Percibir favoritismo es uno de los factores que más influyen en la rivalidad entre hermanos», dijo la doctora Bárbara Howard, especializada en desarrollo conductual. Un ejemplo sería José, el personaje del Antiguo Testamento, que era el hijo predilecto de su padre, lo cual enfureció a sus hermanos (Génesis 37:3-4). Por eso, vendieron a José a unos mercaderes que viajaban a Egipto, y fingieron que un animal salvaje lo había matado (37:12-36). El futuro de José parecía sombrío. Sin embargo, José decidió ser fiel a Dios incluso cuando parecía empeorar su situación. Después de que la esposa de su amo lo acusara falsamente y lo metieran preso por algo que no había hecho, José siguió confiando en el Señor. Años después, sus hermanos fueron a Egipto a comprar granos durante una hambruna, y los aterró descubrir que su despreciado hermano menor era el primer ministro. Sin embargo, José les dijo: «no os entristezcáis, ni os pese de haberme vendido acá; porque para preservación de vida me envió Dios delante de vosotros. […] no me enviasteis acá vosotros, sino Dios» (45:5, 8). 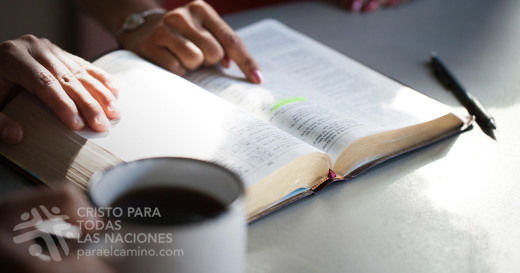 Las palabras amables de José hacen que me pregunte: En su lugar, ¿querría vengarme o sería misericordioso como resultado de mi confianza en Dios? Padre, danos fe para confiar en ti y ver tu mano en nuestra vida. En la hora más oscura, solo con los ojos de la fe podemos ver la mano de Dios. Unser Täglich Brot - Könnte ich das sagen? „Das Gefühl, benachteiligt zu werden, ist einer der wichtigsten Aspekte der Geschwisterrivalität“, sagt Dr. Barbara Howard, Fachärztin für Entwicklungspsychologie. Ein Beispiel aus dem Alten Testament ist Josef. Er war der Lieblingssohn seines Vaters, was seine älteren Brüder wütend machte (1.Mose 37,3-4). Sie verkauften ihn an Händler auf dem Weg nach Ägypten und gaben vor, ein wildes Tier hätte ihn umgebracht (37,12-36). Seine Träume waren zunichte gemacht und die Zukunft schien hoffnungslos. Doch Josef versuchte sein ganzes Leben lang, Gott treu zu bleiben, auch wenn es oft aussah, als würde damit alles nur schlimmer. So verleumdete ihn die Frau seines Chefs und er wurde für etwas ins Gefängnis gesteckt, was er gar nicht getan hatte. Die Ungerechtigkeit setzte ihm zu, aber er vertraute weiter dem Herrn. Jahre später kamen seine Brüder während einer Hungersnot nach Ägypten, um Korn zu kaufen. Sie stellten mit Entsetzen fest, dass der verachtete „kleine“ Bruder Premierminister war. Aber Josef sagte: „Bekümmert euch nicht und denkt nicht, dass ich darum zürne, dass ihr mich hierher verkauft habt; denn um eures Lebens willen hat mich Gott vor euch hergesandt . . . Ihr habt mich nicht hergesandt, sondern Gott“ (45,5.8). Wäre auch ich ebenso großzügig, weil ich ja dem Herrn vertraue? Oder hätte ich mich rächen wollen? Lieber Vater, schenk uns den Glauben, dir heute zu vertrauen, und die Fähigkeit, in unserem ganzen Leben deine Hand zu erkennen. Nur die Augen des Glaubens können selbst in den dunkelsten Stunden die liebende Hand Gottes sehen. Notre Pain Quotidien - Puis-je le dire ? L’impression de favoritisme est souvent l’un des plus grands facteurs de rivalité entre frères et soeurs », selon Barbara Howard, pédiatre spécialisée en développement comportemental (« When Parents Have a Favorite Child » ; nytimes.com). En voici un bon exemple : le Joseph de l’Ancien Testament, qui était le fils préféré de son père. Ce fait rendait furieux ses frères aînés (GE 37.3,4), qui en sont venus à le vendre à des marchands en route vers l’Égypte pour prétendre ensuite qu’un animal sauvage l’avait tué (37.12‑36). Les rêves de Joseph ont alors volé en éclats et son avenir semblait désespéré. Joseph a néanmoins choisi de rester fidèle à son Dieu jusqu’à la fin même si sa confiance en lui ne semblait qu’aggraver sa situation. Après s’être fait faussement accuser par la femme de son employeur et emprisonner à tort, Joseph a gardé foi en Dieu malgré le caractère injuste de sa situation. Venus en Égypte des années plus tard pour y acheter du blé, ses frères ont découvert avec stupéfaction que le cadet qu’ils avaient méprisé en était devenu le gouverneur. Joseph leur a cependant déclaré : « Maintenant, ne vous affligez pas, et ne soyez pas fâchés de m’avoir vendu pour être conduit ici, car c’est pour vous sauver la vie que Dieu m’a envoyé devant vous. […] Ce n’est donc pas vous qui m’avez envoyé ici, mais c’est Dieu » (45.5,8). Or, ces paroles empreintes de bonté m’amènent à me demander si à sa place je chercherais à me venger ou si j’userais de grâce par confiance en Dieu. Dans nos heures sombres, seule la foi nous fait voir l’amour divin. Хліб Наш Насущній - Чи зміг би я? “Фаворитизм – один із найбільших факторів суперництва між братами й сестрами”, – сказала д-р Барбара Ховард, педіатр і фахівець з поведінки дітей, у статті “Улюбленець у батьків”. Прикладом цього може бути Йосип, улюблений син Якова. Старших братів це дуже розлючувало, тому вони продали його купцям, що подорожували до Єгипту, а Якову принесли сфальсифіковані докази, що його сина начебто розтерзав дикий звір (Бут. 37:3-4, 12-26). Всі мрії Йосипа були зруйновані. Майбутність здавалась безнадійною. Проте Йосип вирішив бути завжди вірним Богу, навіть якщо це, здавалося, лише погіршувало ситуацію. Молодого єврея обмовила дружина його пана, і юнака було кинуто за грати. Йосип потерпав від кривди й несправедливості, але не переставав довіряти Господу. Проминуло багато років, і його брати прийшли до Єгипту купити зерна. Вони дуже перелякались, коли виявилось, що їхній брат, якого вони так зневажали, тепер став прем’єр-міністром цієї країни. Але Йосип сказав їм: “Не сумуйте, і нехай не буде жалю в ваших очах, що ви продали мене сюди, бо то Бог послав мене перед вами… Не ви послали мене сюди, але Бог” (Бут. 45:5, 8). Ласкава відповідь Йосипа змушує мене перевіряти своє серце. Що б я вибрав – помсту чи прощення? Відповідь залежить від того, чи цілковито ми довіряємо Господу? Дорогий Отче, допоможи нам довіряти Тобі й бачити Твою благу руку в усіх подіях нашого життя. В темні часи життя лише очі віри здатні бачити люблячу руку Бога. Хлеб наш насущный - А я бы смог? «Фаворитизм – один из главных факторов, вызывающих соперничество между детьми в семье», – говорит доктор Барбара Ховард, детский педиатр и специалист по вопросам поведения детей, в своем труде «Любимчик у родителей». Хороший пример этому – ветхозаветный герой Иосиф, любимец отца, за что братья возненавидели его (Быт. 37:3-4). Они продали Иосифа торговцам, идущим в Египет, и представили все так, как будто его растерзал дикий зверь (Быт. 37:12-36). Все мечты пошли прахом, будущее казалось безнадежным. Но Иосиф, несмотря ни на что, решил остаться верным своему Богу и полагаться на Него, даже если это ухудшало положение. После ложного обвинения со стороны жены своего господина Иосиф был брошен в тюрьму, но все равно продолжал надеяться на Господа. Годами позже, когда случился голод, братья пришли в Египет купить зерна и с ужасом обнаружили, что их проданный в рабство брат – второе лицо в могущественном государстве. Но Иосиф сказал им: «Не печальтесь и не жалейте о том, что вы продали меня сюда, потому что Бог послал меня перед вами… Не вы послали меня сюда, но Бог» (Быт. 45:5, 8). Добрые слова Иосифа заставляют меня задуматься, к чему я больше склонен: к мести или к милости? Все дело – в надежде на Господа. Небесный Отец, дай нам веру, чтобы полагаться на Тебя, и способность видеть Твою добрую руку, ведущую нас по дорогам жизни. Божьи действия можно увидеть только глазами веры.